Dessert - is not just a sweet dish, it is an extraordinary final chord in any meal, the feast of pleasure and delight, the demonstration of culinary talent. 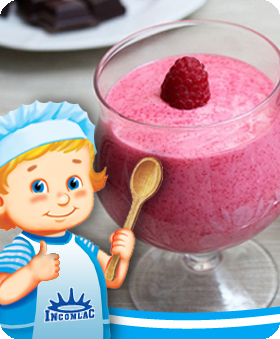 Desserts made up from milk products are not simply tasty, but also very healthy! 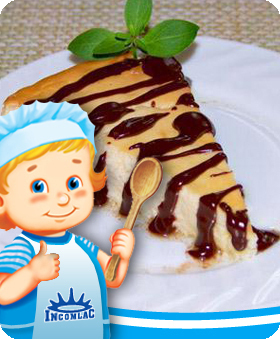 We can prepare a great variety of desserts from milk products. 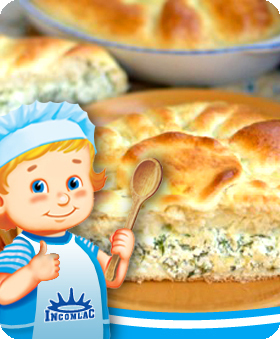 More than that, these recipes could be prepared, if your child refuses to eat cottage cheese, to drink milk, etc. In the original "dessert" serving the products will be appreciated for sure by your child. In this section you can find exquisite as well as casual delicious dessert recipes made up from dairy products. Dishes - the main purpose of food is to be a source of energy and building material for the body, however, not less important in the human nutrition is to get pleasure from eating. Our heading "Dishes" offers you a wide selection of recipes from dairy products for every taste. Here you will find a variety of “culinary masterpieces”! And remember, that milk products are not only tasty but also very healthy! «How to feed your child not only tasty but also healthy?» - this question worries every parent, because child's health completely depends on what he eats or drinks. At the same time, every mother wants to see her child not only healthy, but also happy. Incomlac company, being a great expert in the field of milk and milk products, knows what product will enjoy both: children and adults. Moreover, in our new heading «Recipes», in the section «Beverages» we offer You a great number of recipes, with dairy products. Make your life tastier near company Incomlac.